As part of Summit Design & Engineering Services’ team, Alpha & Omega Group performed Hydraulic Engineering and Structural Engineering services for the Town of Hillsborough’s Riverwalk Phase II Greenway. The project included four crossings of the FEMA regulated Eno River. A HEC-RAS hydraulic model was developed for the project and a CLOMR was required to account for increases in the 100-year water surface elevations. The structural engineering services required conceptual design of the four bridges, design of three bridge/boardwalk crossings; development of construction documents; engineer’s opinion of probable construction cost for the four bridges and boardwalks; and assisting with construction administration. 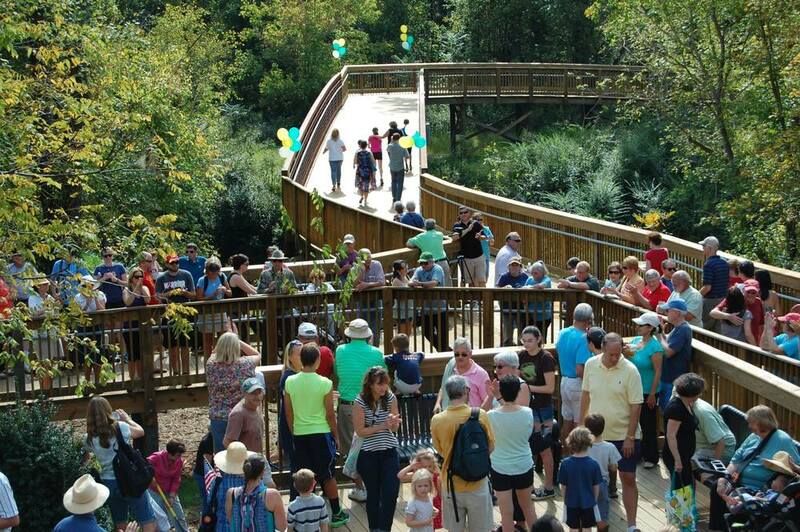 The Riverwalk Greenway in Hillsborough, NC won the 2014 Grand Award for engineering excellence awarded by the American Council of Engineering Companies of North Carolina.